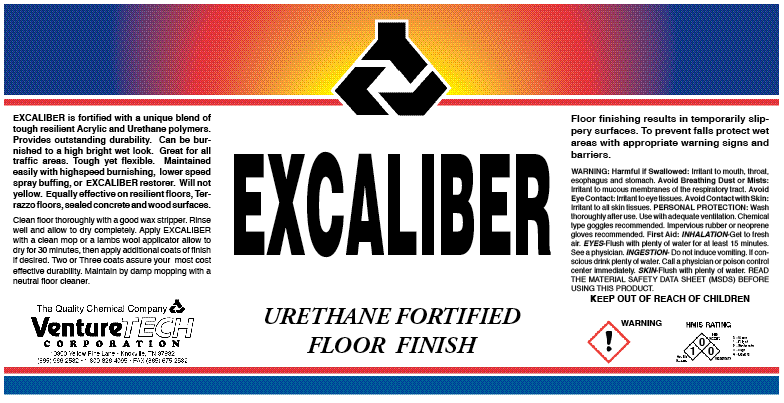 Excaliber is fortified with tough, resilient urethane and acrylic polymers, provides outstanding durability. Maintains easily and is non-yellowing. 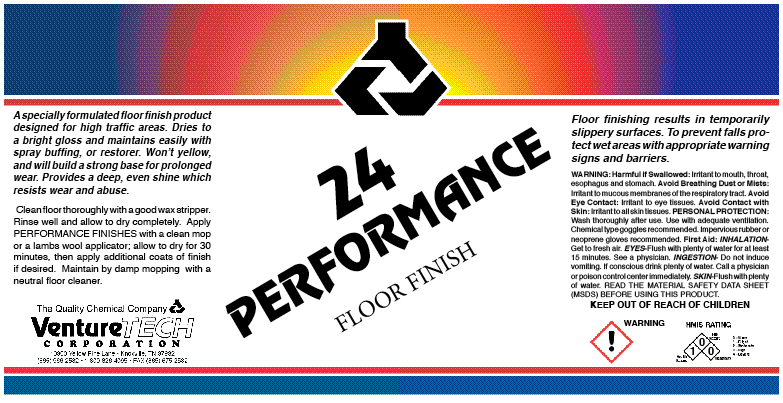 Use on resilient tile, wood and Terrazzo floors and sealed concrete. An excellent floor finish which dries to a bright glass-like gloss, when burnished with a high speed polisher. Can be easily maintained with spray buffing. Non-yellowing. Builds a strong base which resists wear and abuse. 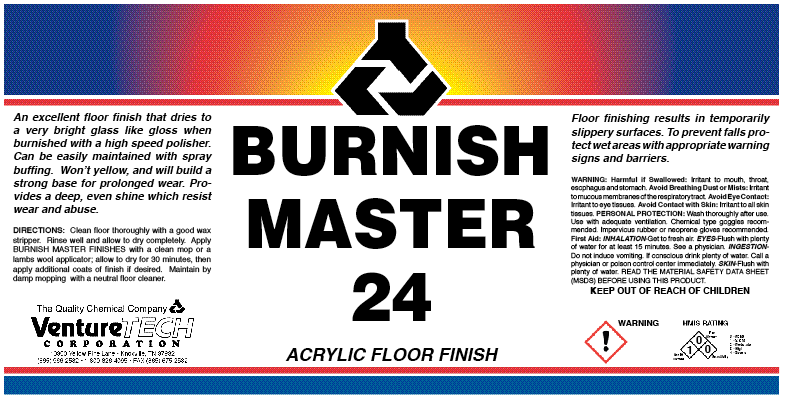 A durable 24% floor finish product designed for high-traffic area. Dries to a bright gloss and maintains easily with spray buffing or a restorer product. Non-yellowing. Will build a strong base for prolonged wear. Provides a deep, even shine which resists wear and abuse. A durable 18% floor finish product designed for high-traffic area. Dries to a bright gloss and maintains easily with spray buffing or a restorer product. Non-yellowing. Will build a strong base for prolonged wear. Provides a deep, even shine which resists wear and abuse. A durable 16% floor finish product designed for high-traffic area. 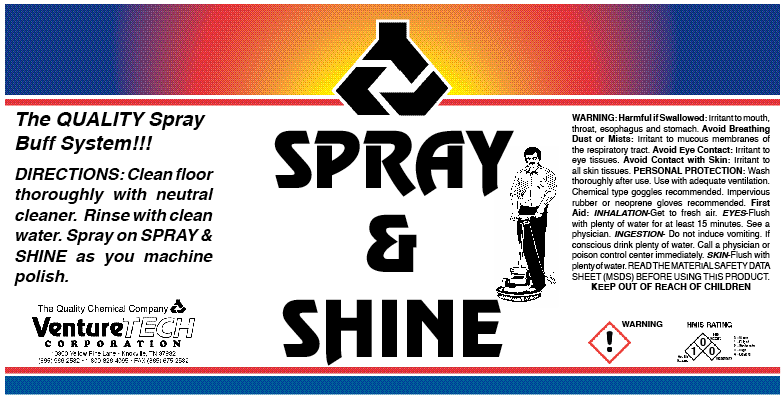 Dries to a bright gloss and maintains easily with spray buffing or a restorer product. Non-yellowing. Will build a strong base for prolonged wear. Provides a deep, even shine which resists wear and abuse. A durable 14% floor finish product designed for high-traffic area. Dries to a bright gloss and maintains easily with spray buffing or a restorer product. Non-yellowing. Will build a strong base for prolonged wear. Provides a deep, even shine which resists wear and abuse. Spray Shine is ideal for maintaining that wet look on your floor. Just spray and buff. Use in conjunction with the fine line of Performance Products. 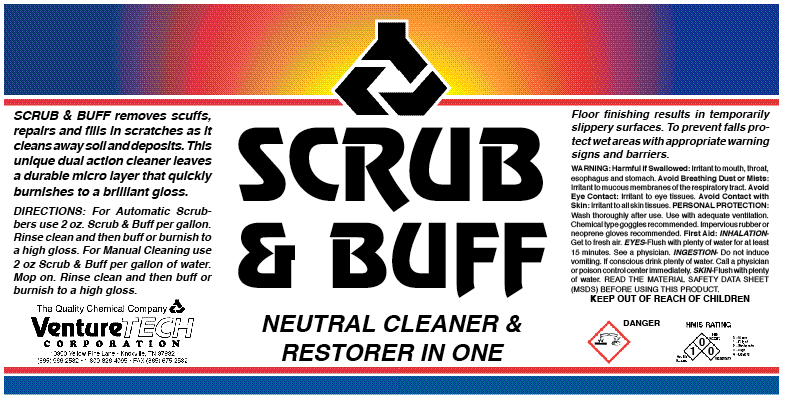 A neutral cleaner and restorer in one that removes scuffs, repairs and fills in scratches as it cleans away soil and marks. This unique dual cleaner leaves a micro layer that burnishes to a brilliant gloss. 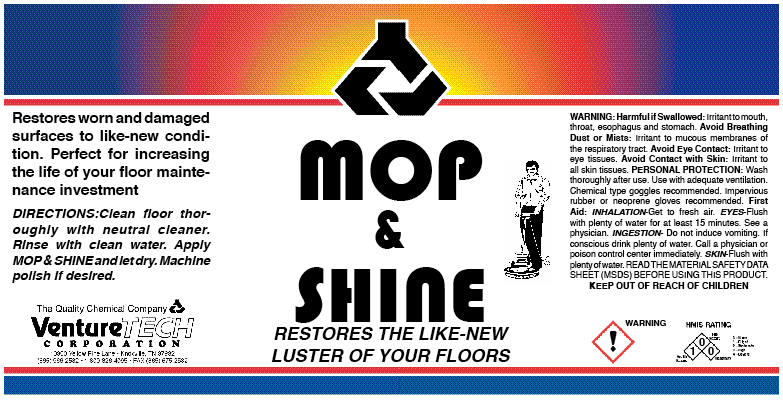 Mop & Shine is ideal for maintaining that wet look for your floor. Just mop on, let dry and buff. Use in conjunction with the fine line of Performance Products. A tough, durable undercoat that seals the pores in all vinyl, rubber, linoleum, asphalt and concrete floor surfaces. 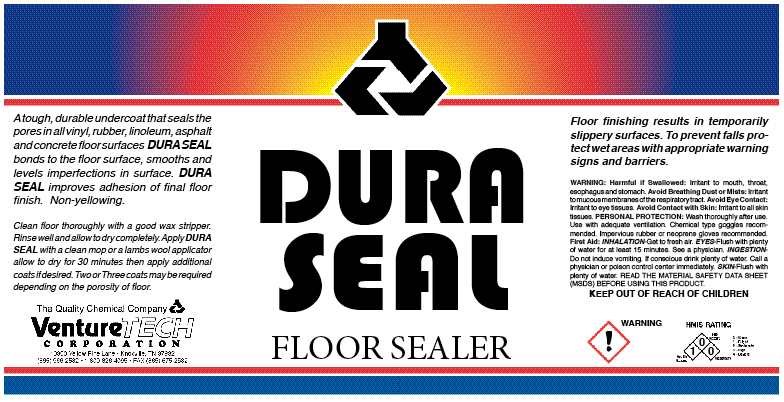 Dura Seal bonds to the floor surface, smooths and levels imperfections in the surface. Dura Seal improves adhesion of final floor finish. Non-yellowing. A tough, durable undercoat that seals the pores in all Terrazzo, tile and concrete floor surfaces. 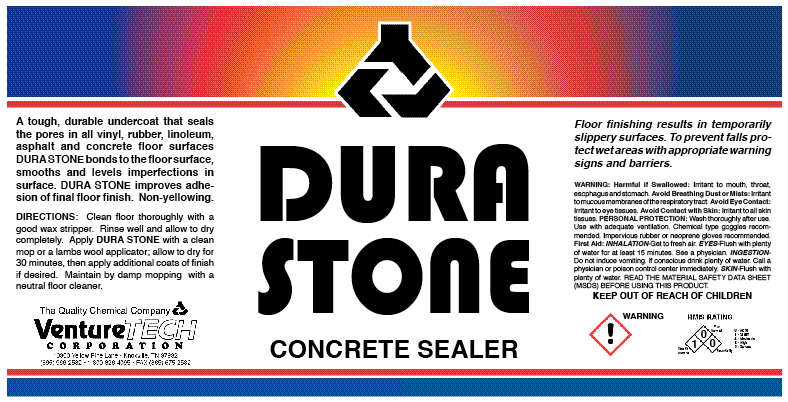 Dura Stone bonds to the concrete or stone floor surface, smooths and levels imperfections in the surface. Non-yellowing. 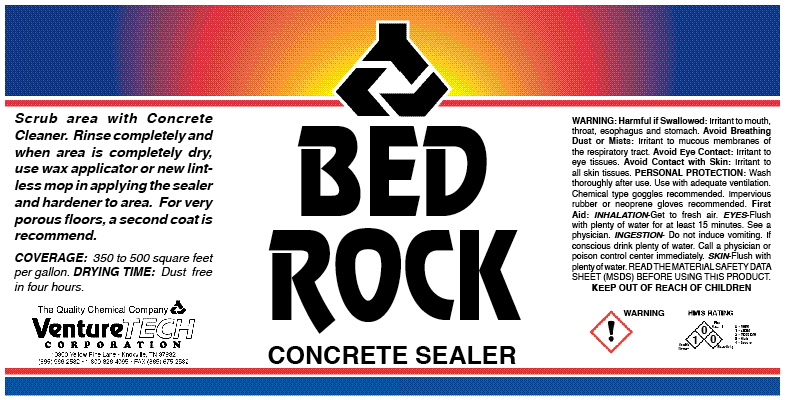 Bed Rock seals and hardens concrete floor surfaces. Actually penetrates the surface and chemically bonds with the sub-surface. Levels well and does not yellow. 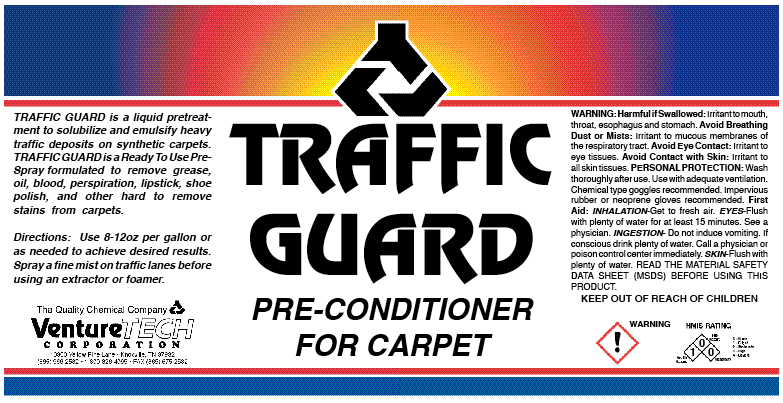 For very porous floors, additional coats may be required. Waterproofs as it seals. Dustproofs old and new concrete. A non-butyl, cold water stripper designed for the removal of floor finishes and sealers. It has an automatic dilution indicator which will appear cloudy when diluted as directed. 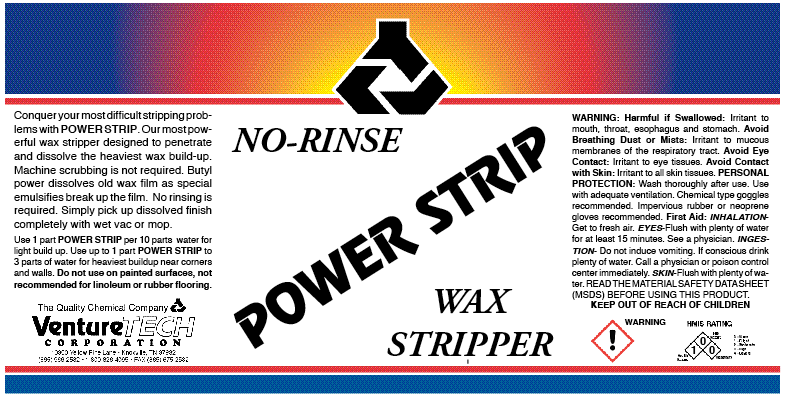 Our most powerful wax stripper designed to penetrate and dissolve the heaviest wax build-up. Machine scrubbing is not required. Butyl power dissolves stubborn film as special emulsifiers break up the deepest layers. No rinsing is required. 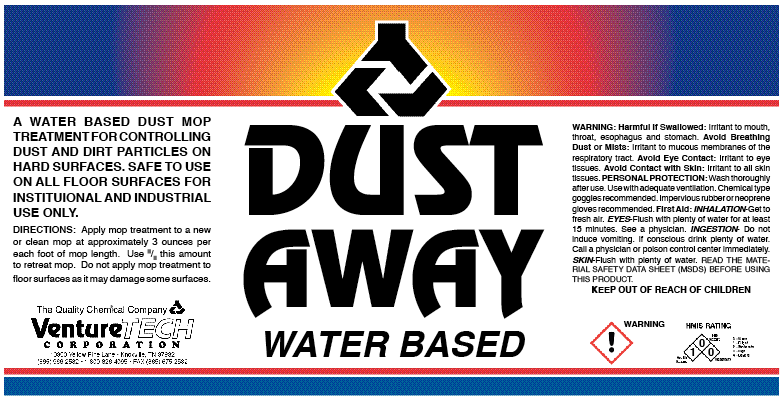 Simply pick up dissolved finish completely with wet vac or mop. A more economical version of Conquest. A powerful wax stripper that is designed to remove even the heaviest wax build-up. Power Strip is non-rinsing and requires minimal scrubbing. 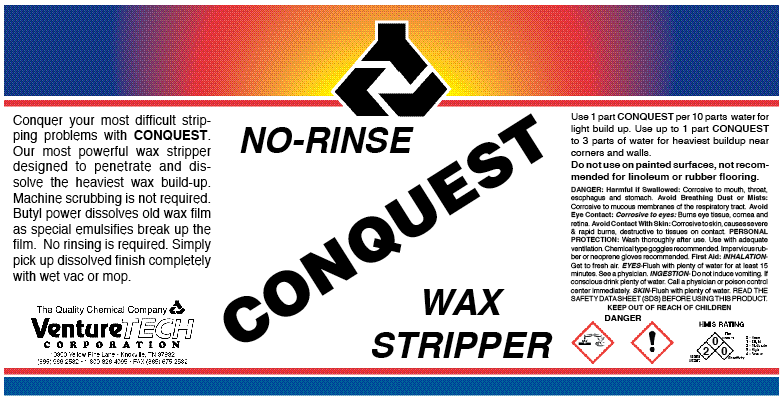 A premium grade non-ammoniated powerful wax stripper that is designed to remove heavy wax build-up. 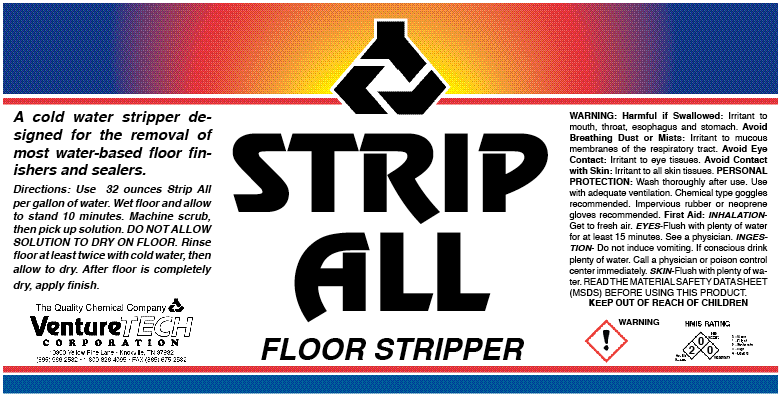 Strips away old layers of scuffed, dirt-embedded and yellowed wax from linoleum, asphalt and rubber tile, vinyl and all other non-wood surfaces. 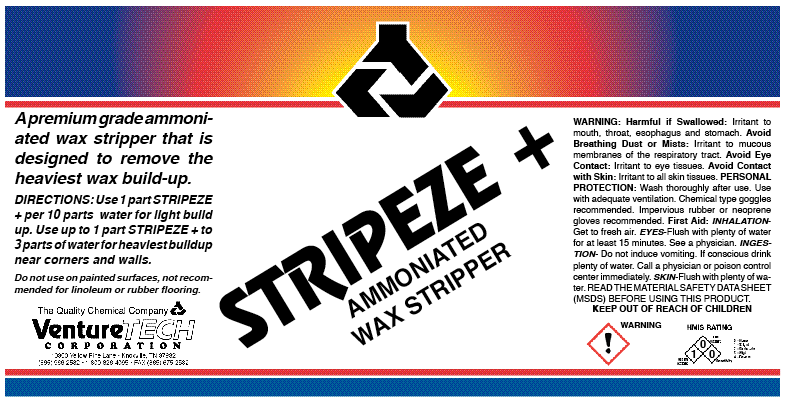 A premium grade ammoniated powerful wax stripper that is designed to remove heavy wax build-up. Strips away old layers of scuffed, dirt-embedded and yellowed wax from linoleum, asphalt and rubber tile, vinyl and all other non-wood surfaces. 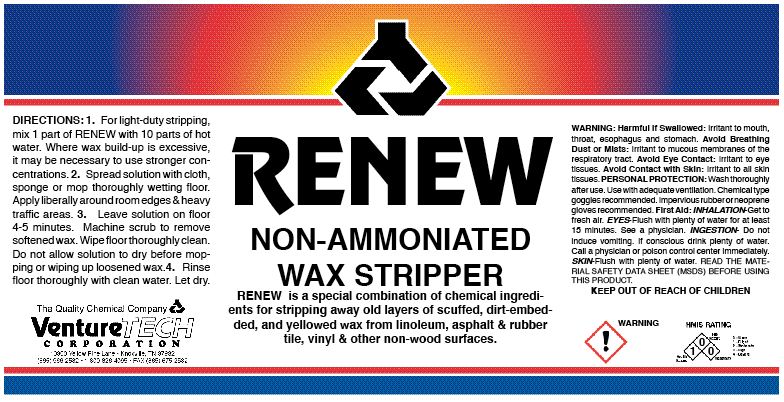 Renew is a blend of surface active agents which strip away old layers of scuffed, dirt-embedded and yellowed wax from linoleum, asphalt and rubber tile, vinyl and all other non-wood surfaces. Very economical yet powerful. 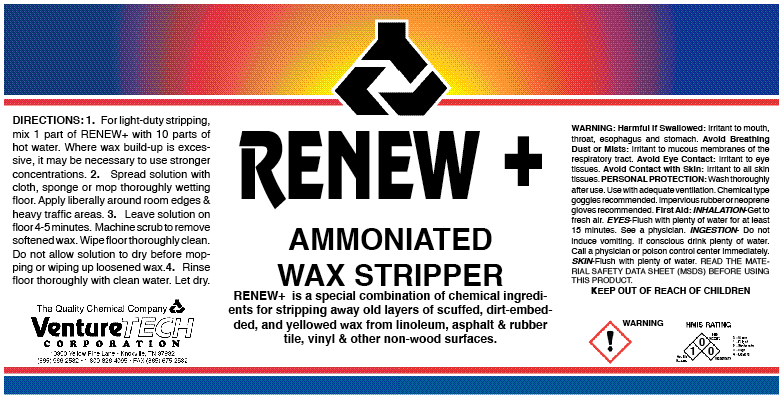 Renew Plus is an ammoniated stripper designed for stripping away old layers of scuffed, dirt-embedded and yellowed wax from linoleum, asphalt and rubber tile, vinyl and all other non-wood surfaces. Very economical yet powerful. A concentrated, liquid detergent designed to save time and labor cost of maintaining high-gloss fInished floors and other hard surfaces. Ideal for use in automatic scrubbers. Leaves no dulling film. Can be used with cold or hot water. 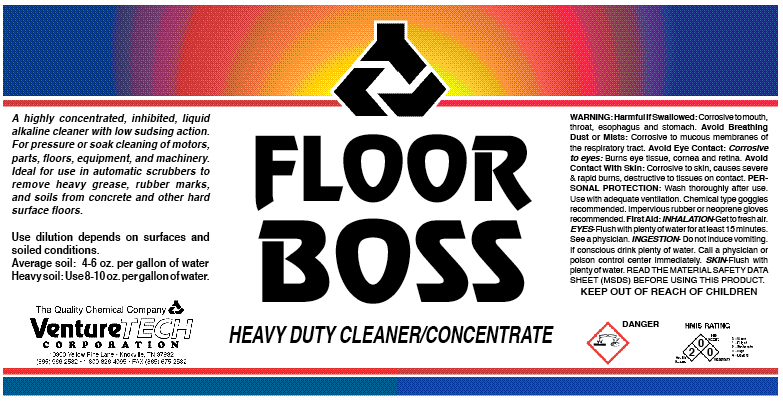 A neutral, concentrated liquid detergent designed to save time and labor cost of maintaining high-gloss finished floors and other hard surfaces. Ideal for use in automatic scrubbers. Leaves no dulling film. Can be used with cold or hot water. 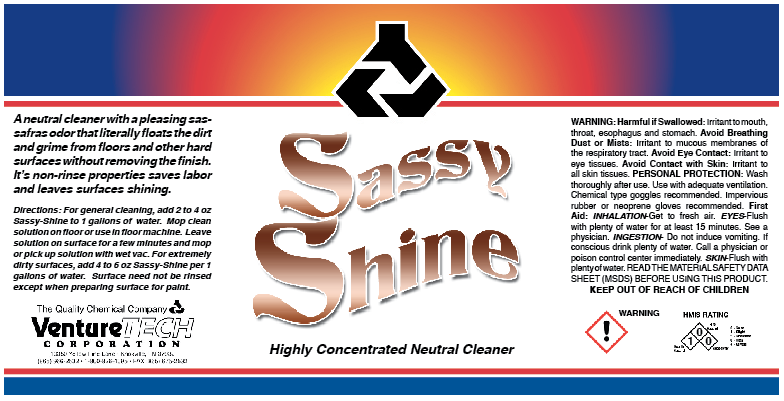 Sassy Shine is a neutral cleaner that literally floats away dirt and grime from floors and other hard surfaces without removing the finish. 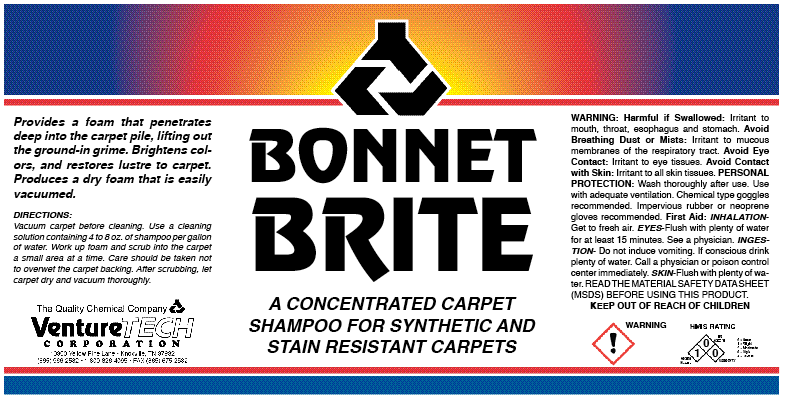 Its non-rinse properties save labor and leave surfaces shining. Has a pleasing sassafras odor. A clear liquid oil-based dust mop treatment for controlling dust and dirt particles on hard surfaces. Safe to use on all floors. 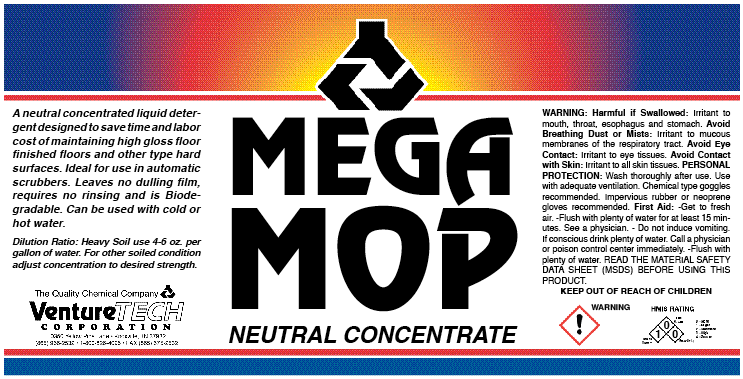 Turns your mop into a magnet for dust and loose dirt. A clear liquid water-based dust mop treatment for controlling dust and dirt particles on hard surfaces. Safe to use on all floors. 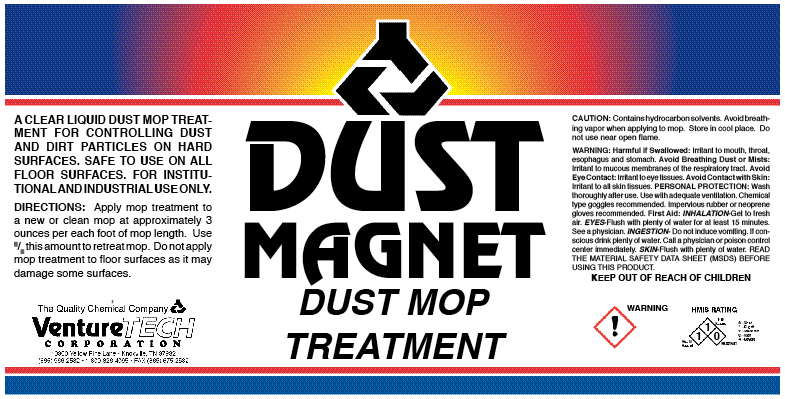 Turns your mop into a magnet for dust and loose dirt. 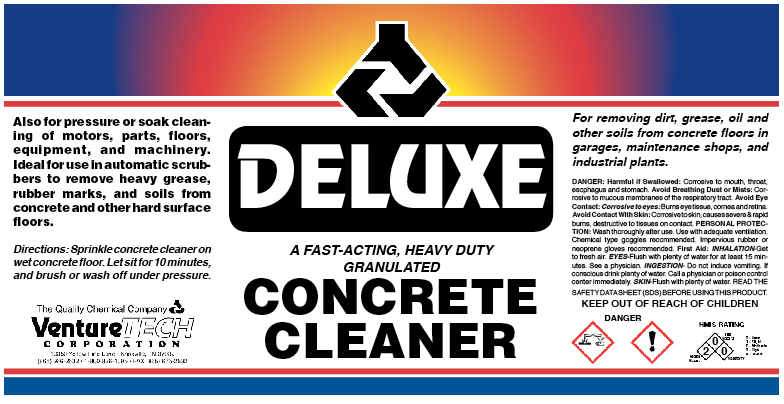 A high-silicate, heavy-duty, non-butyl concrete cleaner. It breaks down and loosens old finish layers without solvents. 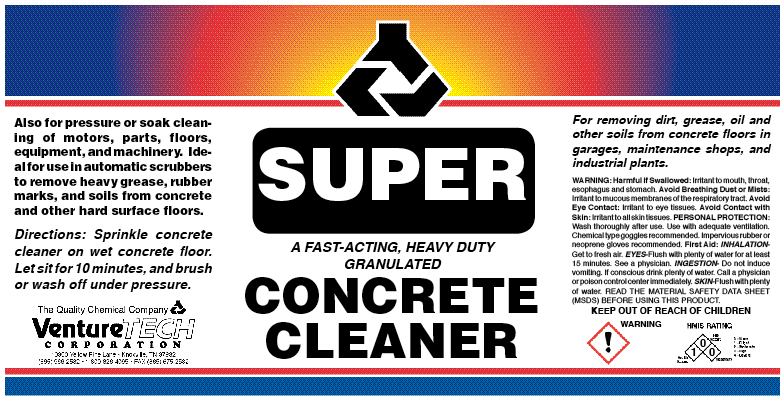 A heavy-duty powder for removal of dirt, grease, blood and oil deposits on concrete surfaces. A very concentrated blend of silicates and emulsifiers. Works in water to overpower dirt and grease. Sprinkle on surface, let soak and scrub stubborn stains away. 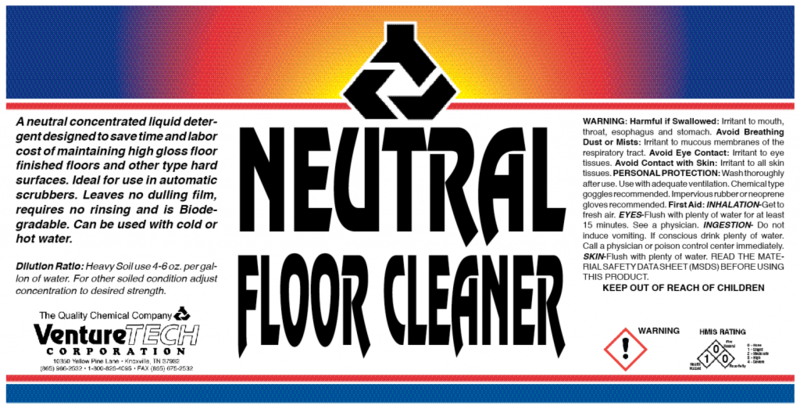 For removing dirt, grease, oil and other soils from concrete floors in garages, maintenance shops and industrial plants. An economical blend of silicates and emulsifiers. Works in water to overpower dirt and grease. A concentrate of low-foaming detergents, wetting agents and solvents for use in steam extractor machines to remove grease and grime from rugs and carpets. A concentrated, yet low-foaming cleaner for use in steam extractor machines to remove grease, grime and other soils from rugs and carpets. Non-toxic, biodegradable, non-corrosive. 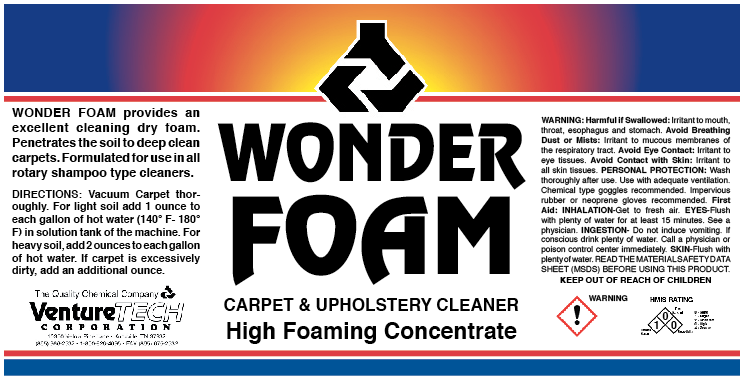 Wonder Foam is a concentrated soapless shampoo. 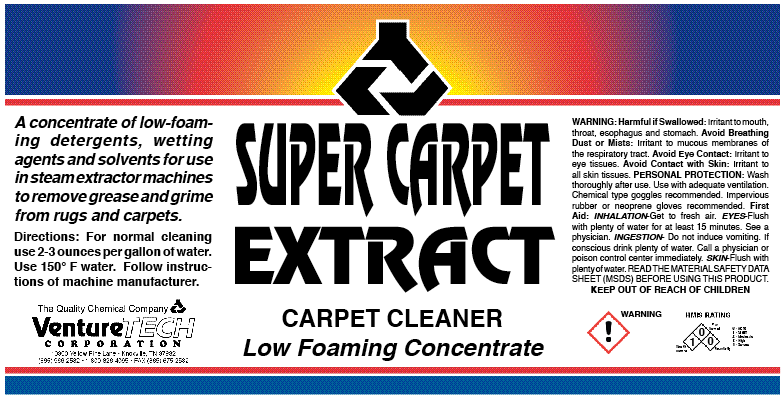 It provides an excellent cleaning dry foam that penetrates soil to deep clean carpets. 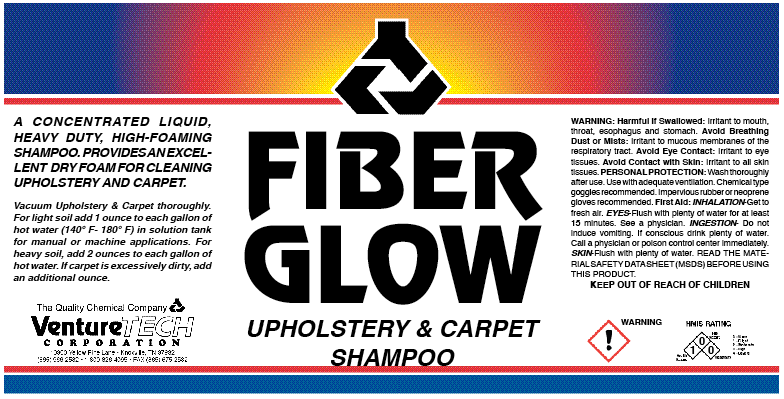 Our most economical rug shampoo that cleans deep down into the carpet, leaving it clean and smelling fresh. A little goes a long way. 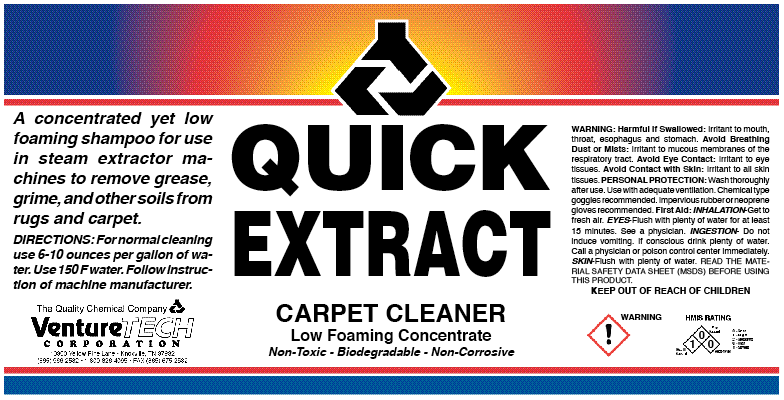 An economical way to clean carpet and rug surfaces. A special foaming cleaner for quality upholstered surfaces. Cleans deep to remove soils and stains. 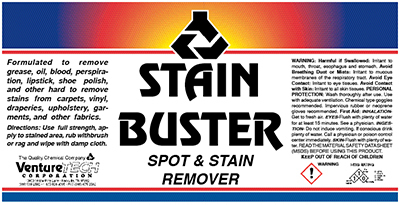 Also use on draperies and garments in conjunction with Stain Buster. This concentrated spot remover is a blend of solvents and stain oxidizing agents to remove and eliminate stains such as food, grease, blood, lipstick and grime. Great for pre-spotting difficult stains prior to cleaning. This more economical concentrated spot remover is a blend of solvents and stain oxidizing agents to remove and eliminate stains such as food, grease, blood, lipstick and grime. Great for pre-spotting difficult stains prior to cleaning. 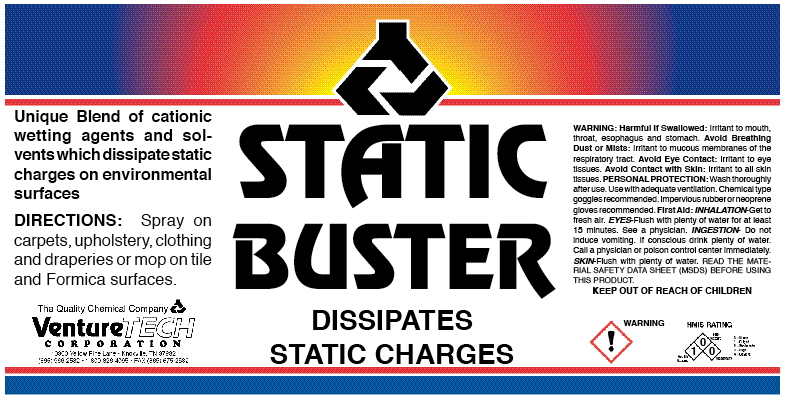 A unique blend of cationic wetting agents and solvents which dissipate static charges on environmental surfaces. Easy to use, long-lasting. 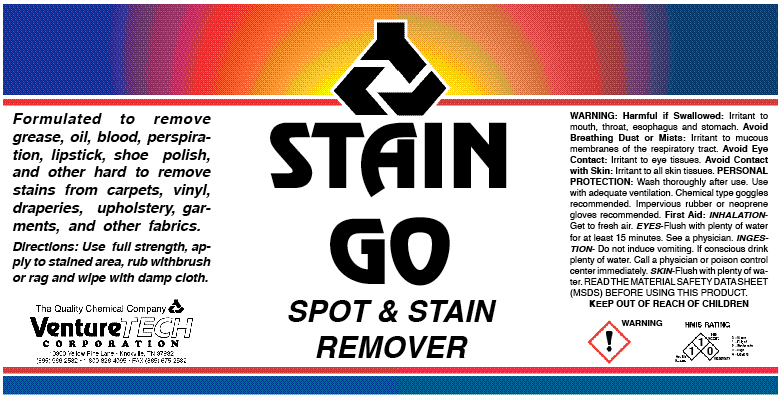 A liquid de-staining solution for carpets and laundry. 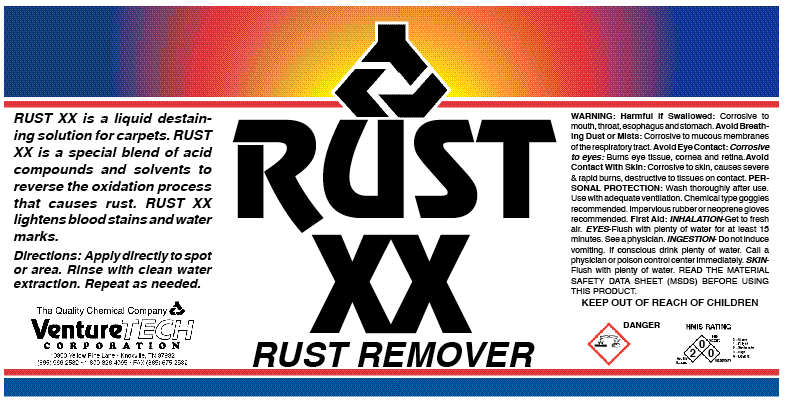 A blend of acid compounds to reverse the oxidation process that causes rust. Also lightens blood stains and water marks. A highly concentrated, liquid silicone, foam-depressing agent to control foam in liquid cleaning solutions. 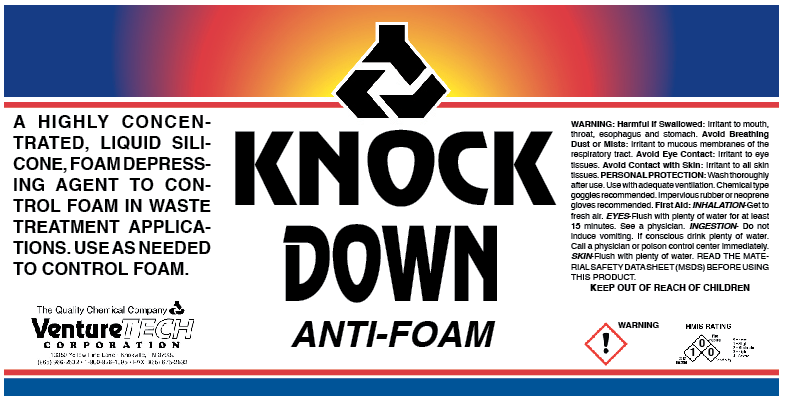 Use as needed to control foam, or prevent foam generation. 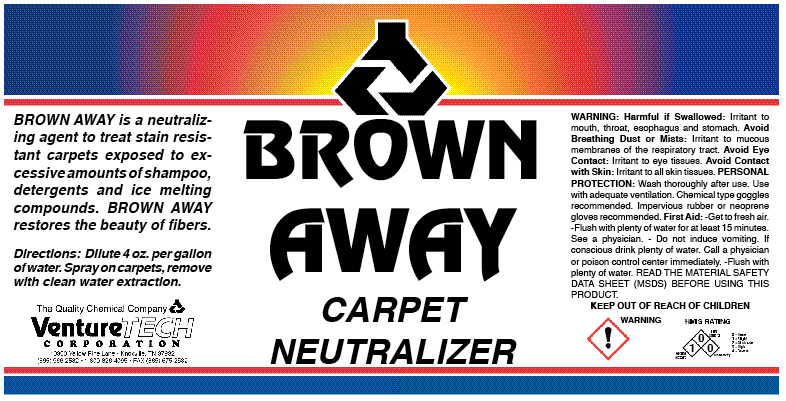 A neutralizing agent to treat stain-resistant carpets exposed to excessive amounts of shampoo, detergents and ice-melting compounds. Restores beauty of fibers. A liquid pre-treatment system to solubalize and emulsify heavy traffic deposits an synthetic carpets. Contains alkaline builders to pH balance acidic soils.